Click the tab labeled “Reports”. 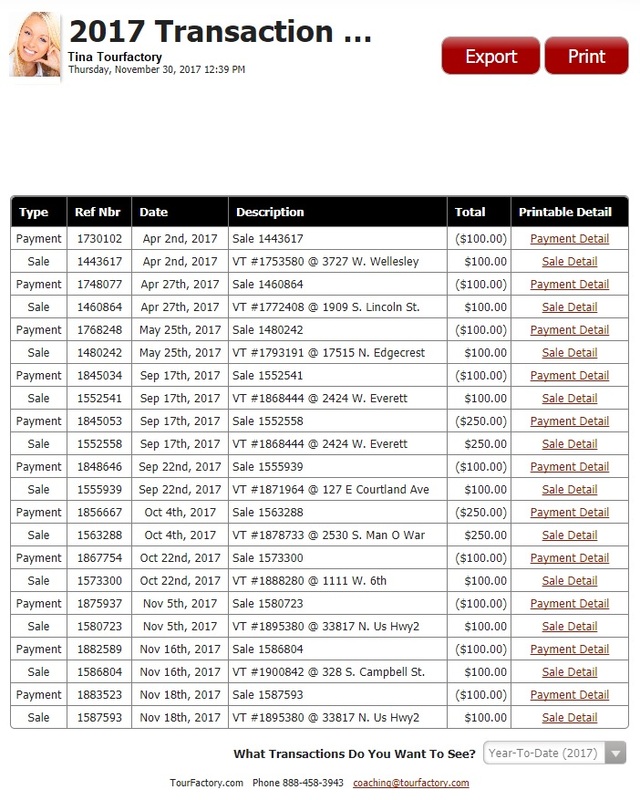 Click the button labeled “Transaction History”. You will now be able to view your transactions for the current year. 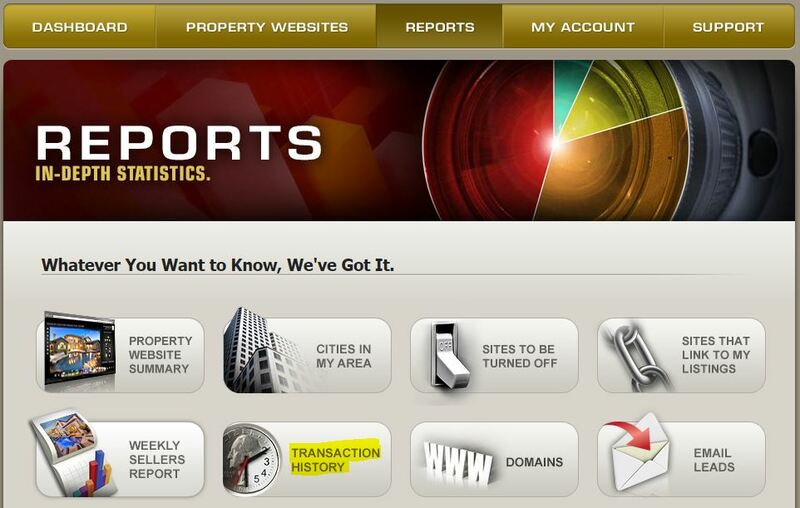 To view a different year of transactions, click on the drop-down menu and select that year-to-date. 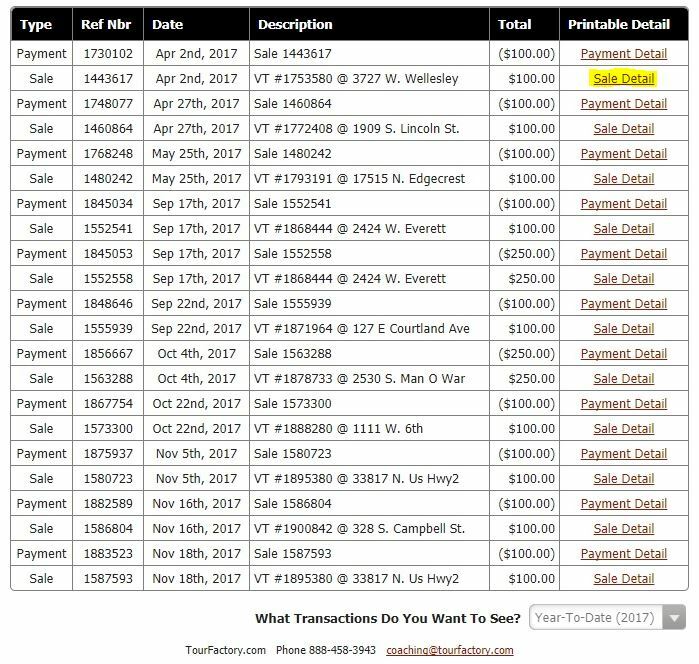 If you would like to access the receipt for a particular transaction, click “Sale Detail” to the right of the transaction amount.